IT'S GREAT TO DISCOVER A BAND THINKING OUTSIDE THE BOX that is producing fantastic music to really get your spirits soaring. The band we're talking about here is Sleepercurve, and they will not pass unnoticed. Who are these guys and what is their sound? Well, Sleepercurve's publicity guru says: "Picture a cage match between The Prodigy, Mansun and Depeche Mode against Iron Maiden, Black Sabbath and Interpol. Throw in a dash of Muse, Soundgarden and The Smashing Pumpkins and stage the whole thing on a flashing dance floor on board a future spaceship and you'll start to get an idea of space rockers Sleepercurve's sound." Racing on up ahead of time, Sleepercurve has already supported the likes of Captain, The Rumble Strips, The Dykeenies, My Passion, Pete And The Pirates, and Das Pop. Having rocked the stage at the Download Festival, The Camden Crawl, Liverpool Sound City and Underage Festival, this trio has amassed a loyal fan base and achieved in a short period more than most bands achieve in a lifetime. Just two tours have seen Sleepercurve make its mark on the four corners of the UK and conquer everything in between, converting unsuspecting gig-goers into bona fide Sleepercurve fans. After a recent studio visit the boys are back, thrusting a refreshingly arresting new single, Robots, into the music arena. Heralded as "a glorious sonic collision of the band's many extensive influences, all packed together to make one magnificent slab of electro synth rock", Sleepercurve's startlingly vibrant Robots is addictive, totally professional and ultra cool. Sure to be one of many resounding successes for this stylish band, this wonderful track has thought-provoking lyrics and a terrific sound. With an equally awesome video to match, Sleepercurve is being tipped as one to watch this year. 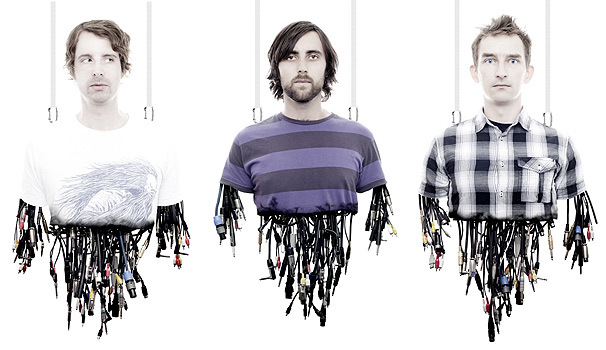 Robots reflects the band's fear of a dystopian, all-controlling state. "It's about breaking out from mass control and using your intelligence to escape dystopia. The single," says front man Dan Walsh, "is basically written for anyone out there who wants to start thinking for themselves." Rock Sound waxes lyrical, with: "taking you to places only your imagination can create". Sleepercurve's music lies between the stage and the stadium, offering diversity and originality as well as mainstream appeal. Inspired by the future and films that include Total Recall, Blade Runner and Logan's Run, they write the soundtrack to your Sci Fi reverie and the melody that meddles with your mind! Do I detect a hint of The Island? Sleepercurve's fantastic work ethic, obsession with creating amazing sounds and the band's passionate performances already places them head and shoulders above the competition. Back on the road once again, Sleepercurve shook yet more stages and blew other minds up and down the country with a master class in fine electro-synth rock when the band hit Scotland, London, Hull, Cambridge, Reading and Burnley for their October / November tour. Watch out for further signs of the boys and don't miss them. 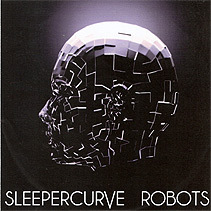  Sleepercurve release their remarkable CD single Robots on 16 November (2009).